Love the little boxes !! They were perfect for my Oreos and shipping was fast . Thank you so much !!! Exactly as described. 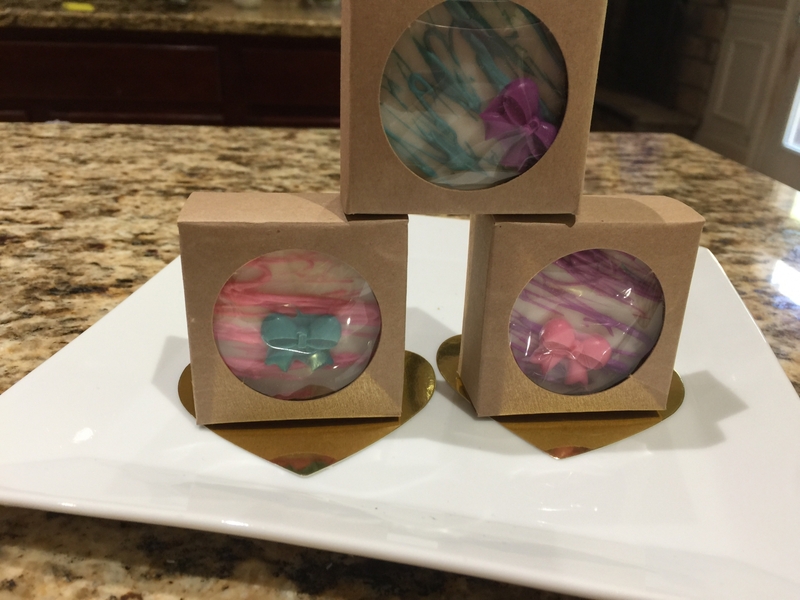 These boxes are super easy to fold together, fit 4 candies in paper cups and look great! Item is exactly as described, extremely simple to assemble and look very professional. I love this boxes!! They are the perfect size and the shipping was very quickly!! Highly recomended!! Great for a elegant look. I love BRP. Fast shipping. Quality boxes that perfectly presents my cookies to my clients. Perfect size for my product. 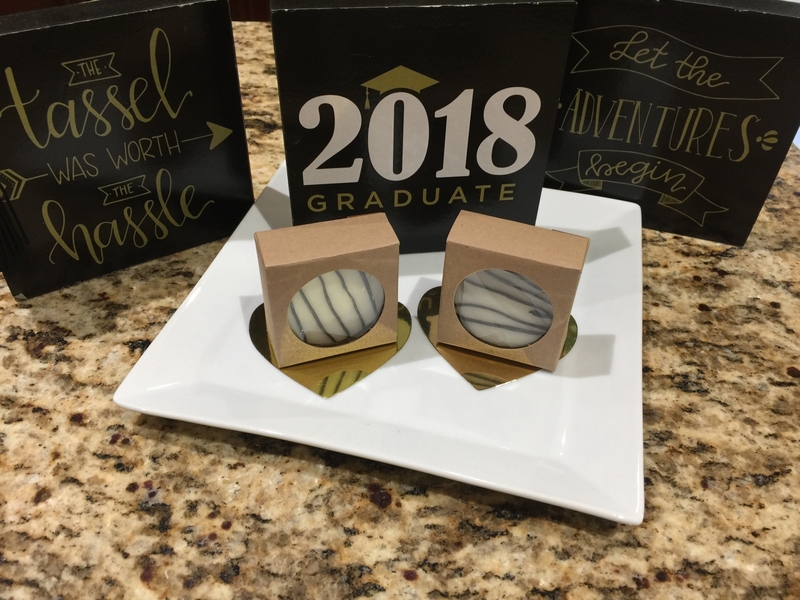 I used this box for my chocolate covered Oreos and home-made marshmallows, love how they add something extra to the presentation. 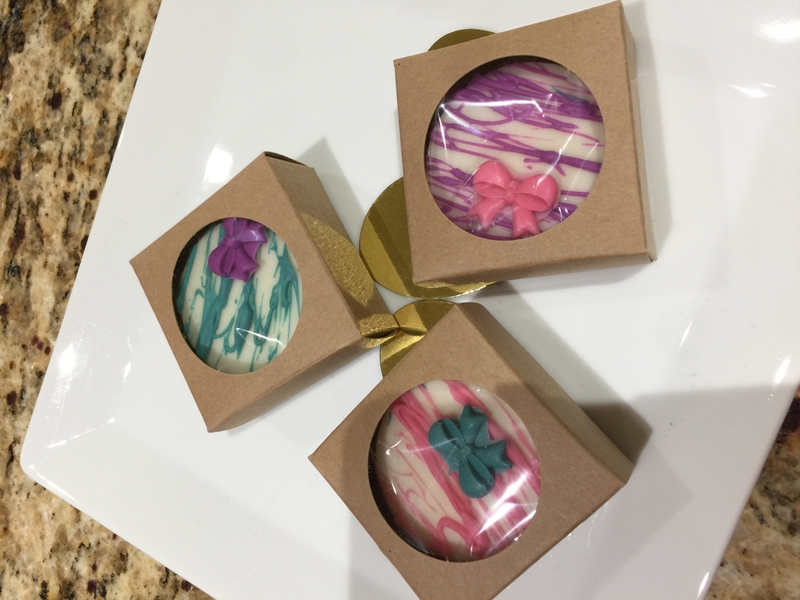 These tiny boxes are perfect for displaying your chocolate covered cookies! Thank you BRP for always having great customer service & fast shipping! This box lets the customer see what they are to purchase. It is the right size for the candies I make. do you need to put cookies in a bag or something before they go in the boxes? they are for retail packaging. thanks! Hi Molly, Putting them in a bag first would keep them fresher longer. can a large 4oz cookie fit into the box? Hi Reno, If your cookie is smaller than 2 1/4" in diameter, it will fit. Does this box have a clear plastic (cellophane?) covering over the window? Or is it open? Does this box only hole one macaroon? about how many macarons fit in this box? 4 laying flat? 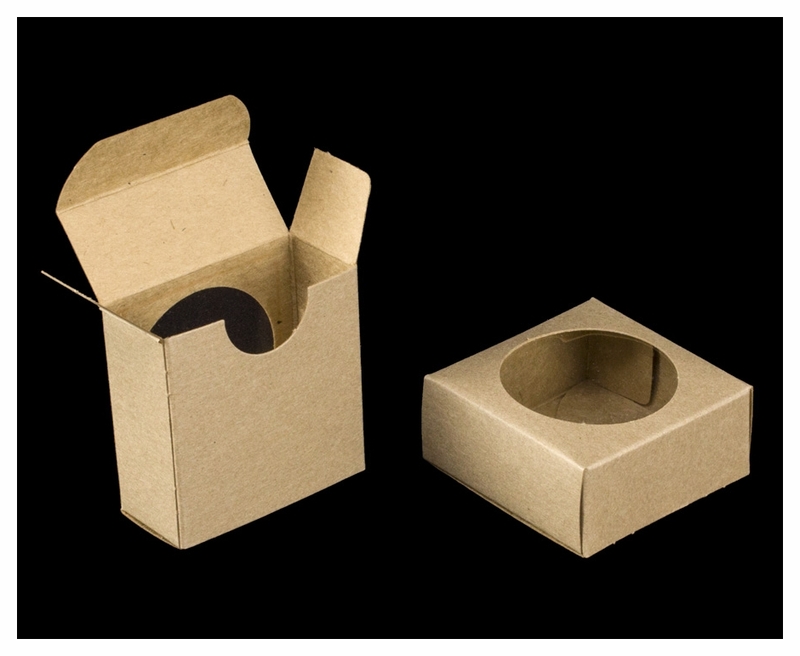 Hi Amy, This box would fit one macaron as long as it was less than 1" in thickness and less than 2 1/4" in diameter. 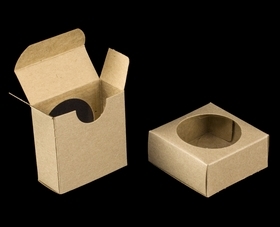 Are you looking for a box to hold 4 macarons - flat? Are the favor boxes grease resistant? Hi Kathleen, None of our boxes have a grease proof/moisture proof coating.